Can You Tame the Volcano? 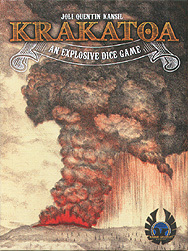 Krakatoa is one of the most unique dice games ever created, combining strategy and luck as you try to harness the power of the volcano. Each roll is filled with decisions that will affect your success. With the right combinations, you can grab the highest score and finally tame Krakatoa.